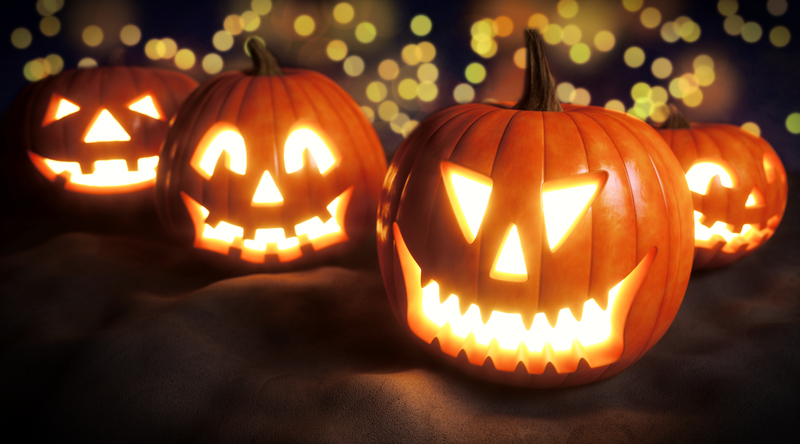 Make sure you are using flame-less candles in your Jack-O-lanterns to avoid an accident! While Halloween is known for fun, frolics, and free candy, it is also a night of freights. But one freight no parent wants is to look around to find their child missing while out trick-or-treating. So to avoid that moment of panic, let’s take a look at seven tips for Halloween safety. When trick-or-treating, you may find yourself several buildings away from your house with tired feet and a little frustration. So instead of taking the long route back to your home, why not find a shortcut? Make sure to plan out a route in advance to learn how to get back home safely and quickly. Yes, those plastic dress up shoes look beautiful with the princess outfit, but they are not really practical for hours of running around collecting candy. Skip the matching shoes and put on some comfy tennis shoes for the best results. Most costumes these days are made of black material that can be hard for parents and drivers to see. Instead of fighting the color of the costume, add a strip of reflective tape to the back of the costume so you and drivers can see your kids. Use reflective pumpkin pails or bags to give your kids more visibility. Masks can make it hard for kids to breathe and see. So try to avoid masks all together and use non-toxic makeup instead. If you can’t avoid the masks, make sure the eye holes and nose holes are big enough for them to breathe and see. Long costumes can be dangers. They often drag on the ground and can make it difficult for your child to walk without tripping. With a night of walking up and down stairs ahead, make sure to cut and hem your child’s costume so it fights right without causing them to trip. While it may seem like a myth that candy has been tampered with, it isn’t. Over the years sewing needles, drugs, razorblades, shards of glass, bullets, staples, and nails in candy. So it is important for you to check your child’s candy to make sure nothing is out of their original package and nothing has been tampered with. When trick-or-treating this Halloween, it is important to make sure your child makes it home safe and sound. For more information on Halloween safety tips, check back for more of our weekly blogs! This entry was posted on Thursday, October 20th, 2016	at 3:29 pm	. Both comments and pings are currently closed.